There are many opportunities if you want to spend your holiday in a special accomodation in Hungary. Staying in a castle hotel makes your journey unforgottable. There are some castles reccomended by us. 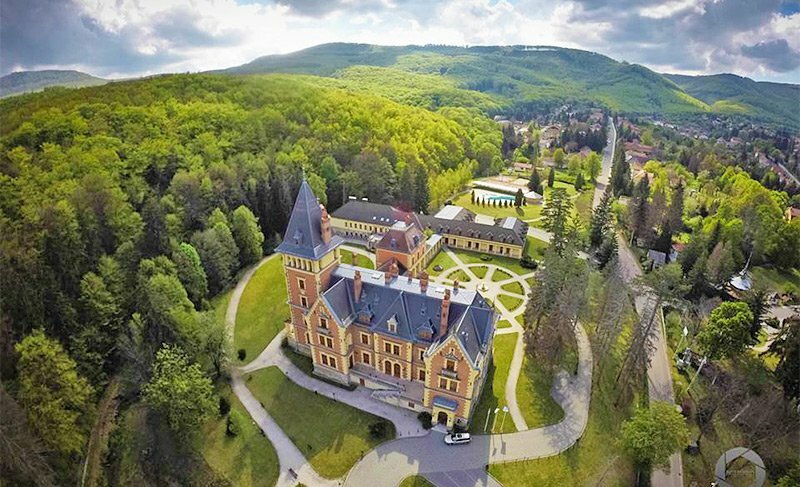 This hotel is 2 hours drive from Budapest and takes you back to the Habsburg family era, in the Austro-Hungarian Empire. It has a wellness bath house and house for sport activities too. You can relax in a luxury 4 star castle hotel. You can have your meals in 5 different places. The menu varies from traditional Hungarian foods to up-to-date innovations. It is ideal for families with different prorams. In the sport centre you can try bowling, squash, pool, darts and it also has a fitness house. In 1926 Verseghy Elek Nagy became the new Hungarian ambassador of the Vatican. He had reconstructed the Castle according to the modern requirements. During his era was build the park around the castle and a large pool was established according to the project of Alfred Hajós, he was the first Hungarian champion in swimming at the Olimipic Games in 1896 in Athen. Beside the pool there was built a small wooden Japanese house. This castle is 2 hours drive from Budapest. In 2003 it was chosen to the 20 best Wellness Hotels in Europe, in 2005 it received the title: Wellness Hotel of the Year, the Hungarian Wellness Society rewarded it with a gastronomic niveau prize as well. It is the member of the European TOP Wellness Hotels. It has a popular wellness section as well. They offer traditional food and if you want to spend your freetime actively you can play golf or take part at bicycle tours, hunting or picnik etc. The hotel is 2 hours drive from Budapest. The foundations of the castle were laid in 1490 and it was built in late Gothic style by the Batthyány family in the mid 1800s. The family expanded the complex and renovated it in a Baroque style. The present building took its current form in 1913, as it was rebuilt by Pál Batthyány, the ealdorman of Zala County and his wife. The Castle building is surrounded by an open-air swimming pool, childrens playground, beach volleyball, golf and tennis courts, a grill terrace and a bar. The Castle Hotel has got 28 different rooms, restaurants, an indoor thermal pool, a jacuzzi, a sauna and the spa services provide various massage therapies. During the history of the manor the property changed owners several times. Many noble families including the historical Rákóczi, Orczy and the Grassalkovich families lived here. The first bathhouse of the estate was built in 1827. The land became the property of the Károlyi family in 1846, Mihály Károlyi was the governor in Hungary before the World Word II. Miklós Ybl one of the most famous Hungarian architect had the castle designed and built between 1876-82. With its 52 rooms and 5 suites the castle ensures their guests the greatest comfort and tranquillity to spend their time here. Guests can choose among three wings of the building, which are connected by underground passageways. It is one and a half hour drive from Budapest. Each wing of the building has an underground passage which leads us to the recreation place. You can use here whirlpool, sauna, steam bath, infrared sauna, beauty salon, solarium, massage, exercise equipment, and a sun terrace. They have a bowling valley, billiard tables, you can play squash, tennis and beach volleyball for free. 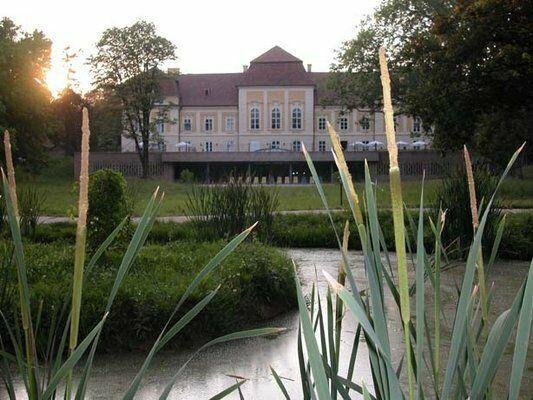 The Neo-Classical style Hertelendy Castle Hotel offers its guests luxurious accommodation and an escape from everydays. The castle was built at the turn of the 20th century. Some of the many activities include, horseback riding, golf, hunting, tennis, hot air balloon rides and sightseeing flights from the castles own airfield. The Hertelendy Castle Hotel also has its own thermal spring filling a small lake and a thermal pool. It is 2 and half hours drive from Budapest. 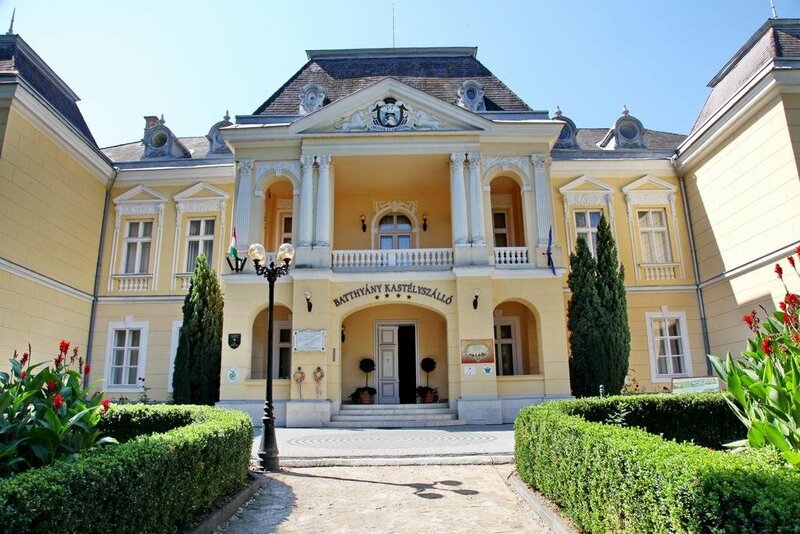 A former wine-dresser school located on the vineyard of Tokaj was converted into a four star Castle Hotel, as a result of that a hotel was opened and the guests are welcomed since the end of May in 2003. Twenty double rooms and one suite are waiting for their guests. The castles style reflects the era of the Austro-Hungarian Monarchy, it was 200 years long until the World War I. Besides the wonderful environment the staff ensures high standard and a very friendly hospitality. Additional services include: heated outdoor swimming pool, sauna, fitness room, tennis courts, own parking place, 24-hour reception and concierge service, program organisation, restaurant, wine bar, summer terrace, salon, library, conference hall, laundry service, central safe and bicycle rent. It is a 2 and half hours drive from Budapest. After the Word War II. the Castle was nationalized, and it has been working as hostel for long years. The latest serious renovation was in 1981. After the change of the Russian regime, the hotel became the part of the Hunguest Hotels chain, and worked as a 2-star hotel until 2005. 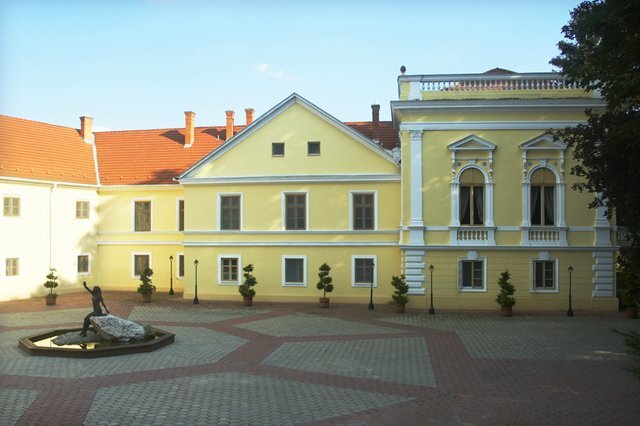 The Castle was reconstructed with the help of the so called Hungarian „Széchenyi Plan” by its actual owners, and the Castle awaits their guests since 2009. The rooms are equipped with colour LCD televisions, a safe, a telephone, internet availability, and a personally controllable wall-heater-cooler system. A speciality of the Hotel is the 24 double room with own sauna each. Some of the services are: bowling valley, squash court, billiard table, wellness department, sauna with a wide variety of rituals, yoga, grill party on the grill terrace with panoramic view, hiking in the Bükk hills, horse riding, taking a horsecarriage and hunting. In their meals they mix the Hungarian flavours and regional food with the modern kitchen. It is 2 hours drive from Budapest. The castle was given to the Apponyi family in 1850. The son of the family inherited the castle. After his death in 1939, the castle was given to the state and a school worked there till 2002. Todays owner bought it in 2008 and it was built into a castle hotel. Its not a usual castle hotel and not a typical luxury castle. It is one hour drive from Budapest. It gives an authentic view of the life of the Hungarian gentry. You can have different food from bio vegetables from the owners garden. You can easily relax here or enjox active tourism with more than 100 programs. It is suitable for you if you want to have good quality but without the unneccessary luxury.